Room G52, Main Building, SOAS. The SOAS Middle Eastern Ensemble is a group of SOAS students and alumni specialising in classical and folk Arabic music performance. The group has performed in several SOAS festivals and events as well as a recent performance at the British Museum. 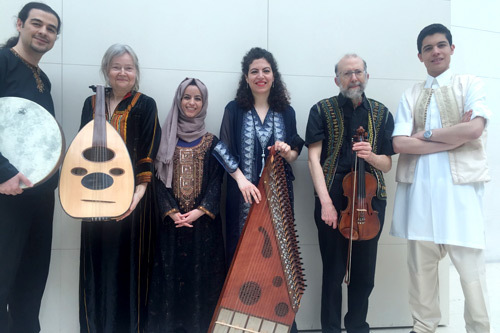 The ensemble is directed by Syrian Kanun player Maya Youssef. The Forum is convened by Dr Laudan Nooshin, City, University of London (l.nooshin@city.ac.uk) and Dr Rachel Harris, SOAS, University of London (rh@soas.ac.uk).